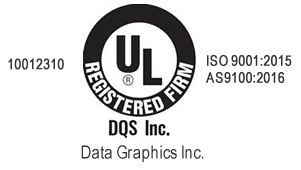 Die Cut Products | Data Graphics Inc. 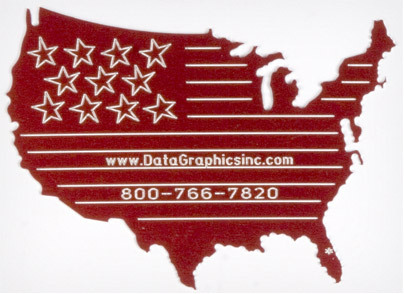 Die Cut Products | Data Graphics Inc.
No matter what the application, our team has a completely custom die cut printing solution that will meet your strict specifications. We feature a huge selection of materials and equipment to create the custom solution other companies can’t match. This includes die cuts that range from simple shapes to complex components used in advance technology. We use the latest die cutting machines to punch holes in aluminum, Poron, EPDM, fish paper, Metalphoto®, silicone, neoprene, polycarbonate, polyester, vinyl and other plastic materials to produce the exact product you need. Our advanced production facilities feature Contech Die Cutting Presses, two lasers and two CNC machines to give you a precise cut, no matter what material your order calls for. No matter what your material, thickness or durability needs, we feature the equipment and expertise to deliver precise die-cut products trusted by big-name clients like Toshiba, Samsung and Verizon. 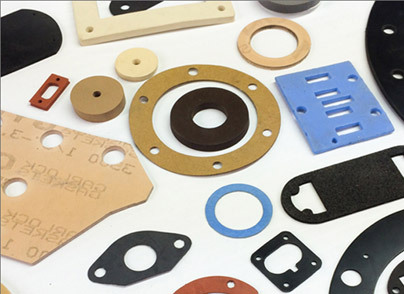 What Types of Custom Die Cutting Can We Do? We feature a huge inventory of thousands of dies in standard shapes: circles, rectangles, slots, rings, ovals, squares and more. 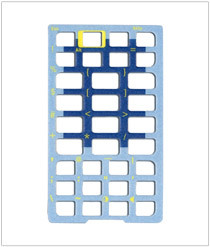 Using a standardized die often minimizes your cost and order ship time. If you’re under a strict deadline, just request a fast quote and ask about our “Hot & Spicy” list to see how we can help you meet your deadline at no extra cost! In many cases, your product may be shipped within just a few days. Which Industries Rely On Our Die Cut Products? We service the aerospace, medical, telecommunications, military and manufacturing industries. They use enormous amounts of die cut products in their machinery and products, and we have many long-term customers who always come to us for their die cutting needs. Their product orders often include packing labels, diagnostic equipment control panels and compliance labels posted in the workplace. Sometimes our clients come to us with special requests, and our experience and customer service lets us deliver and meet your expectations. Whether you need an intricate shape or a die cut that is eight layers thick, we can fill your order. Just browse our portfolio to see some examples of the custom die cuts we’ve created for big-name clients like Toshiba, Samsung and Verizon.